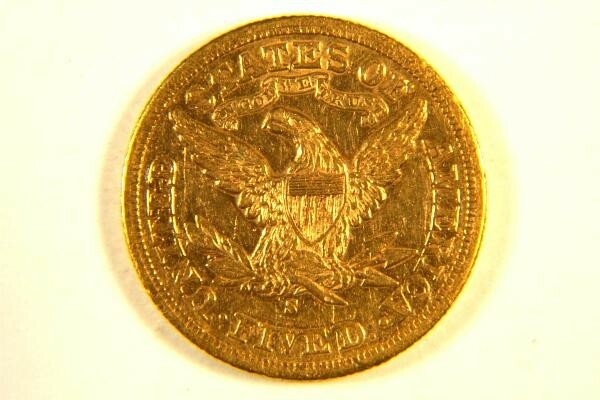 This is a really nice 1880-S Liberty Head Half Eagle Gold Coin that is in beautiful BU "Brilliant Uncirculated" condition. 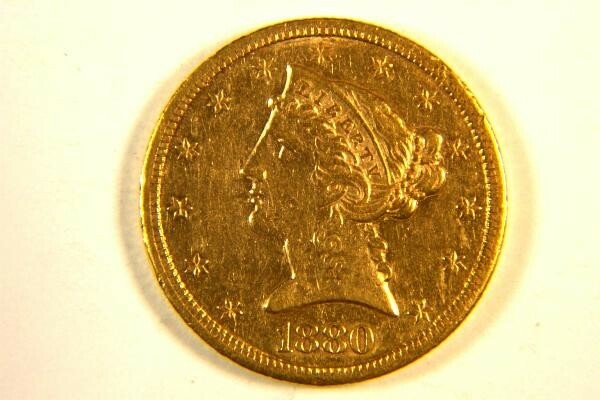 You can add a piece of history to your gold collection with this amazing 133 year old rare gold coin. There is just under 1/4 ounce of pure gold in this coin (0.2419 troy ounces to be exact). Rare gold coins are a great way to invest in gold, as they get more valuable with age, and as gold prices rise.